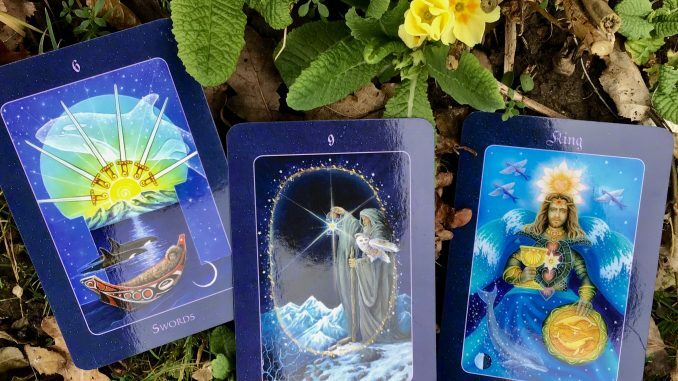 This reading looks at some of the significant energies around for us to work with between the Spring Equinox in mid-March and Beltane in early May. As evolving individuals, these energies are there for us all to engage with as we navigate life’s unfolding. In my experience, there isn’t an abrupt jump from one energy to the next. Rather, they blend and fade into each other, like the colours of a rainbow. 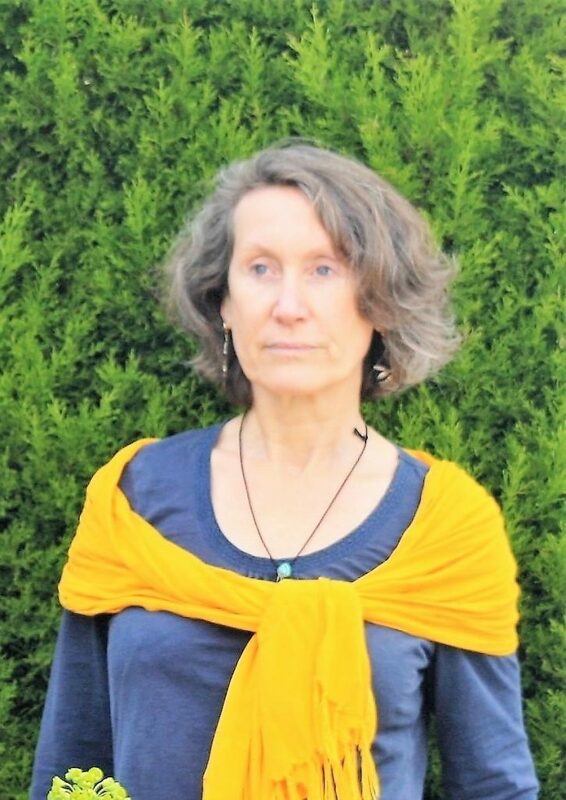 In her classic book ‘Hedgewitch’, the writer Rae Beth observes that the two weeks either side of an equinox can be times of wildness and chaos. On a personal level, we might experience this as a period of stress or tension as all the elements of life (including us) are brought into a new balance. To support us during this potentially challenging period, the energy of the six of Swords is all about restoring equilibrium and harmony. If things have been fraught recently, this energy brings the possibility of recuperation and healing. Working with it can help us to bring about peace, both within ourselves and with others, if appropriate. To this end, it might be helpful to consider our own role in any recent difficulties. If we’ve been caught up in the ego’s battles, it’s possible we’ve lost touch with what’s real and true. If so, life is presenting us with an opportunity to realign with our soul’s wisdom through the process of letting go and moving on. Depending on how much emotional energy we have invested in maintaining a particular narrative, we might find letting go of even unhealthy or energy-sapping situations or projects challenging. Without the ‘story’ we tell ourselves and others we risk feeling lost or adrift. Becoming more conscious of this possibility helps us to make better choices. If we can manage to let go of our need to control narratives, we free up the time and energy necessary to journey towards a new beginning. We create space for ourselves to dream new dreams. We can be open to fresh possibilities. Reinforcing and supporting the Six, the Hermit brings the energy of introspection, acceptance and patience. He heralds a time for soul-searching and a need to work things out quietly. Working with this energy can help us gain clarity and insight. The message of the Hermit is to resist trying to force a particular future into being. For now, choose to live in the present. Take life one step at a time. Although this sounds like a piece of cake, it isn’t always straightforward. ‘Being’ instead of ‘doing’ can make us restless and impatient. It’s all too easy to respond to these potentially uncomfortable emotions by trying to control outcomes. We get totally focused on Making it Happen, often doing anything just to be doing something. Instead, work on becoming more self-aware. Choose to notice if you’re trying to force things. Re- focus on your inner journey. Make a conscious choice to revaluate your goals and priorities. Tune into your deeper knowing through meditation, journaling or prayer. Reconnect with natural cycles of growth and decay – recognise your own. Allow time for seeds to germinate. Trust yourself and the process. Working consciously with the Hermit could create a pivotal point in your journey. The King of Cups is emotional intelligence personified. His healing energy supports us in the work of making wisdom from life’s challenges and in moving forward wholeheartedly. He brings the gifts of courage and focus. In exchange, he asks us to risk authenticity – to align ourselves with love and to be open to the role of spirit as our life unfurls. His advice is to get out of your head and into your heart; to follow your curiosity and trust your joy. When we can realign with our inner guidance in this way, inspired visions and creative opportunities often arise. His message is to practice love. Extend kindness, to yourself and to others. Act for the highest good. Go gently. Images from Cathy McClelland’s gorgeous Star Tarot are shared with the permission of Schiffer Publishing. When she isn’t reading tarot or studying astrology, Yvonne Hufton has a kitchen table business growing and selling herbs and flowers to keep her busy. Her academic background is in Religious Studies and Environmental Science. You can follow her tarot offerings at Silly Goose Tarot, here and here. You can also contribute to the Cygnus blog! Click here to learn more about how you can share your experiences with the Cygnus Community just like Yvonne!